RC modeling is an excellent family activity. Many new friendships are created through activities at the field and the events during the flying season. Many members travel together to fly-ins and contests around the country. 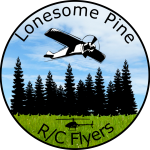 The Lonesome Pine RC flyers would love to have you join our club. Flight training is free to everyone. Pilots in training do not qualify as club members and must have ALL flights supervised, via buddy-box control, by our club designated trainer. Although pilots in training are not required to pay membership dues, we certainly welcome club donations. Junior membership in the club is free for pilots under 18 years of age that already have an active AMA membership. However, club donations are gladly accepted for this membership level. Standard (non-Junior) membership dues are only $50 per year and are used to help provide maintenance to the club field and facilities, club activities and club services. 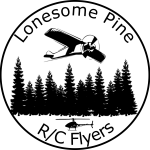 An active AMA membership is required for all pilots.